While many would associate Thailand and specifically Bangkok, with the now iconic story “The King and I”. It could be argued that is more a “Tale of Two Cities”. Before Bangkok became the capital of Thailand in 1782 and emerged as the center of Thai government. 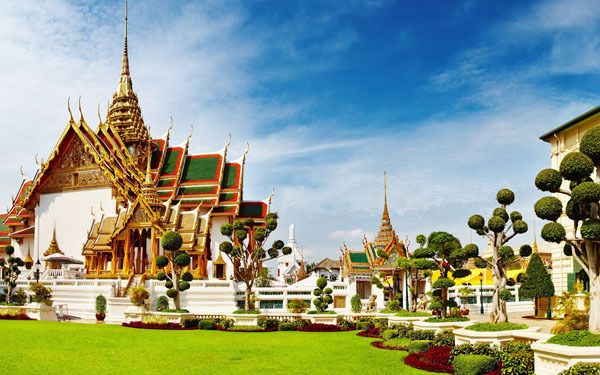 Carry forward her rich history and her modern sensibilities and you can understand why Bangkok embodies a duality reflected in her palaces, temples and monuments; each juxtaposed by soaring ultra modern skyscrapers. This is not lost on the traveler, allowing for odd sense of vertigo as past and present intermingle in a kaleidoscope of sights, smells and sounds. 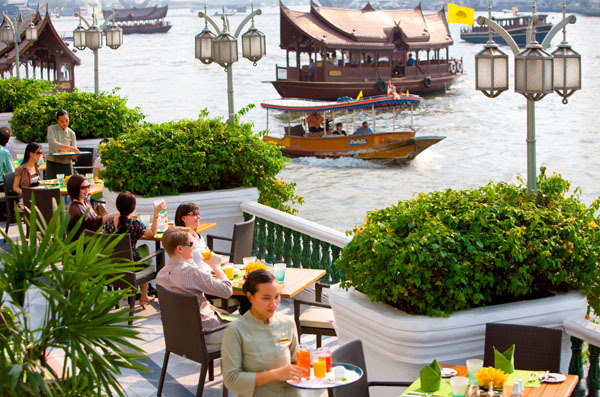 Bangkok is also a city marked by luxury and the Mandarin Oriental Hotel best tells this tale of two cities. 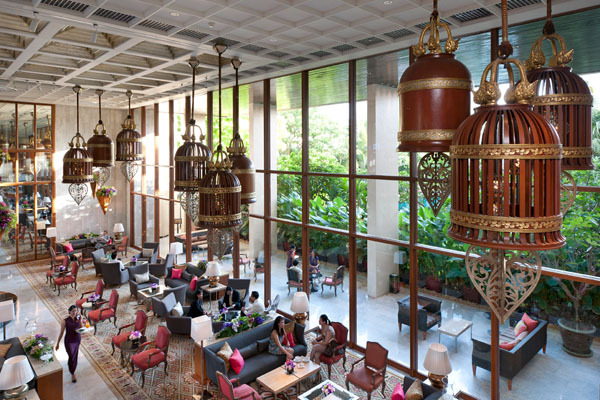 The Mandarin Oriental Bangkok is deeply rooted in her past with a keen eye on the future, as evidenced by a renovation of the historic Authors’ and Garden Wings. 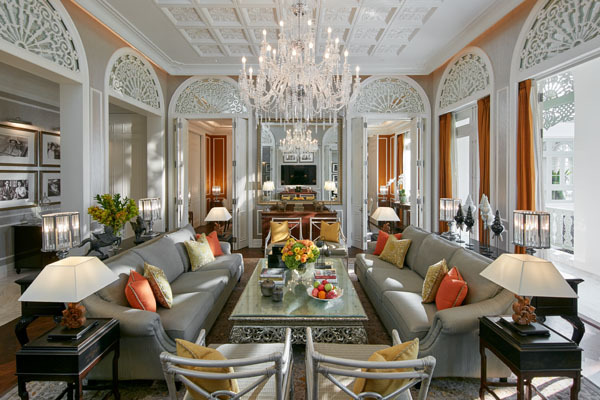 The project comprised a significant room reconfiguration resulting in the creation of new spacious suites, including a Grand Royal Suite in the Authors’ Wing and twelve other suites reimagined in every way. 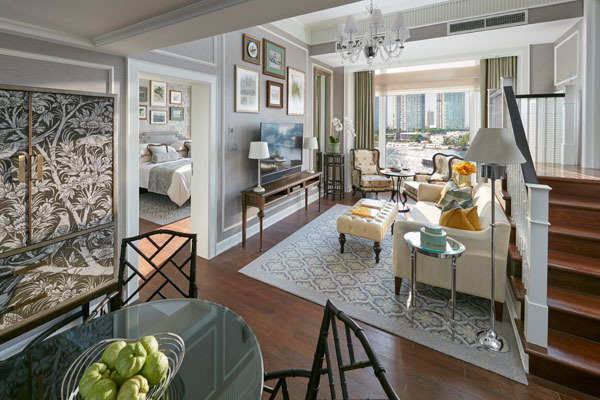 Occupying the entire first floor of the renowned Authors’ Wing, which was the original Oriental Hotel of 1876, a truly striking addition and one that caters to a select clientele is the six-bedroom, nearly 6,500 square foot Grand Royal Suite aptly recognized as Bangkok’s grandest. Complete with private elevator access, it incorporates the one-bedroom, Royal Suite and the adjoining Ambassador Suite with two bedrooms, as well as three equally lovely guest rooms for family and entourage. Offering a spacious formal lounge, a second living room, a study and a dining room for twelve guests with a fully equipped kitchen and a luxurious bar pantry the true jewel on this crown of hotel royalty is the light-filled Victorian – inspired glass conservatory with space to relax and dine. The 140-year-old building’s restored original open balcony affords unrivaled vistas over the tropical gardens of the Authors’ Wing and the majestic River of Kings. Equally impressive are the new Garden Suites, many with a modern split level layout that still pays homage to an opulently adorned past. All boast floor-to-ceiling windows overlooking the river and gardens and include a lounge, dining room, pantry, powder room and a balcony. 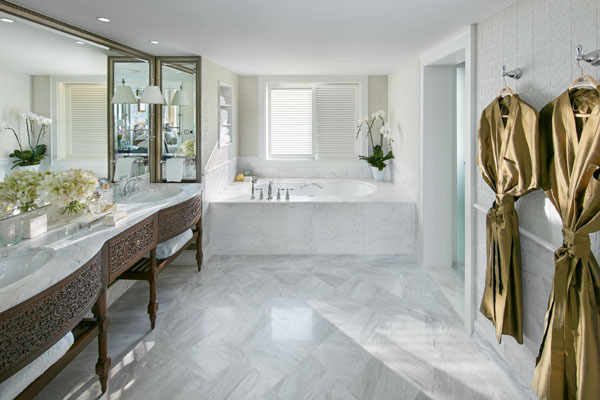 The bedroom features a large marble bathroom with separate bathtub, a walk-in shower, double vanity and a walk-in closet. The suites’ contemporary interior design combines the hotel’s unique colonial inspired heritage and Thai culture. Clearly, there is more to this Thai beauty than simply her stately rooms. Case and point, The Oriental Thai Cooking School opened in 1986 and was first Thai cooking school in Bangkok. Here participants learn from Chef Instructor Narain Kiattiyotcharoen how to create delicious Thai dishes while gaining insights into the fascinating culture and traditions of The Kingdom of Siam. This is only the gastronomical beginnings for any guest with one of the best loved French restaurants in Asia, Le Normandie, Conveniently located on property. 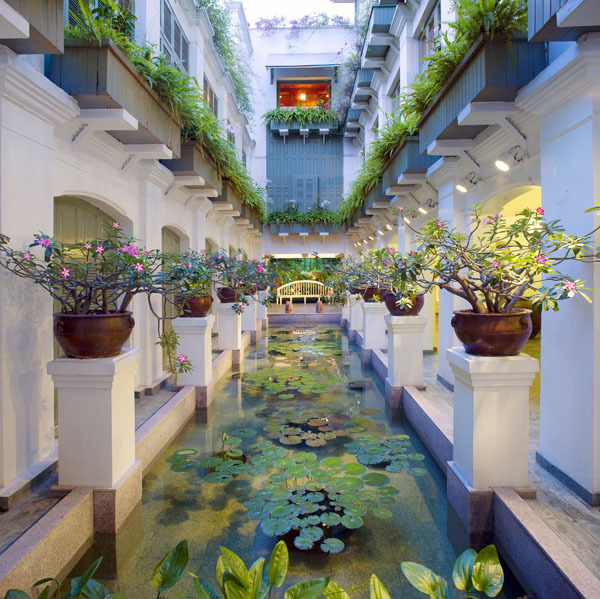 Situated in the Garden Wing of the hotel and offering an exquisite fine dining menu and an exceptional wine cellar, the restaurant frequently entertains the highest echelons of Thai high society including members of the Royal Family. Offering stunning views over the river through floor-to-ceiling windows, Le Normandie exudes elegance with large chandeliers, and stunning one-of-a-kind flower arrangements. With boasting rights to one of the most remarkable spas in Bangkok, The Mandarin’s Oriental Spa is the first spa to open within a hotel property in in the city. 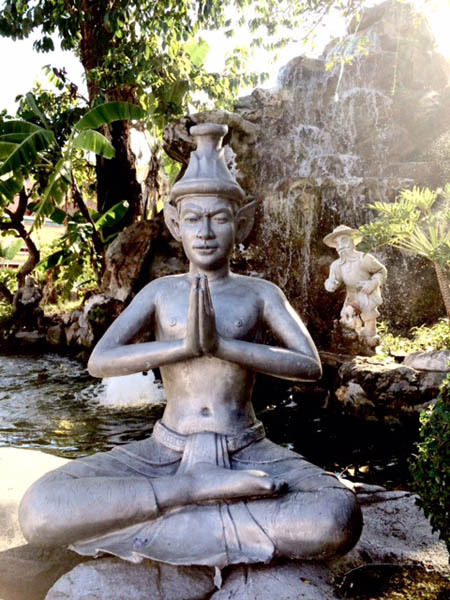 Since its debut in 1993, its has been guided by a core philosophy of providing an all-encompassing spa experience that couples traditional 2,000 year-old Thai holistic teachings with contemporary philosophies creating an ambience that is both nurturing and rejuvenating. An intriguing aspect of The Oriental Spa the new Digital Detox Retreat, which encourages guests to use their visit to the spa as a chance to disconnect and re-evaluate their relationship with technology. Upon arrival, guests are asked to “surrender” their phones, thus removing online distractions, and are be encouraged to fully relax. This 90-minute experience focuses on grounding both body and mind through the power of human touch, and is designed to provide a calming and soothing respite from the outside world and the stress of repetitive movements. Guests receive tips and guidelines to help them clear mental chatter, establish a healthy, digitally balanced lifestyle and create boundaries for their necessary but potentially draining relationship with technology. An equally spectacular option is the Spa Studio by Mandarin Oriental. Located in the newly refurbished Garden Wing it consists of four luxuriously designed treatment rooms offering powerful, effective and less time consuming treatments, for ladies and gentlemen in a calming yet sophisticated setting. Featuring facial treatments designed to deliver exceptional results using QMS Medicosmetics. Just beyond the Spa is the Fitness Centre offering a highly personalized approach to fitness. Muay Thai is increasingly popular among locals, expats and visitors to Thailand, and The Mandarin offers Muay Thai sessions that are individually tailored to each guest and conducted by skilled trainers who are experts in Western boxing as well. Perhaps the real magic of this property is in the realization that behind every twist and turn of the beautifully designed and manicured resort is a new surprise. The Authors’ Lounge is only one such example and stands proudly as one of Bangkok’s, if not Thailand’s, most photographed locations. 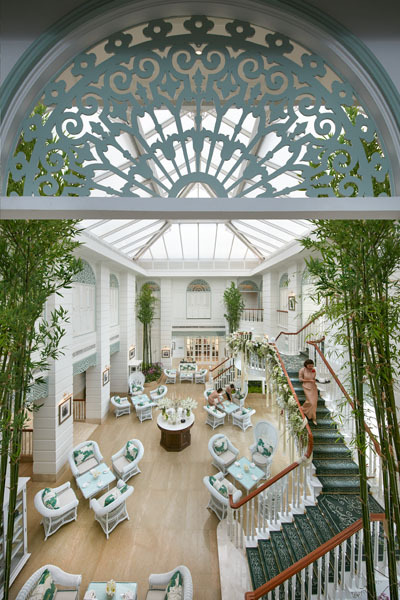 Originally an open roofed garden, the Authors’ Lounge now features a glass roof and is the perfect place to enjoy afternoon tea. In keeping with the great literary heritage of the hotel, the recently restored Authors’ Lounge also has a new collection of photographs of the many famous writers who have stayed at the hotel. In addition, the heritage authors, Noël Coward, James Michener, Somerset Maugham and Joseph Conrad, are now immortalized by four new private lounges. This historical landmark continues to reveal her secret past in the Bamboo Bar. Originally opened in a tiny room in the hotel’s Authors’ Wing in 1953, the Bamboo Bar has grown into an institution frequented by high society. The essence of the old bar inspired the new design with bamboo utilized throughout. Hanging on the wall are historical images of the hotel bar, and pictures of former patrons, including iconic musicians and singers the likes of Ray Charles, Louis Armstrong, Duke Ellington, Eartha Kitt, Dionne Warwick, Eric Clapton, Bryan Ferry and Mick Jagger; and actors such as Audrey Hepburn, Marlon Brando, Sean Connery and Roger Moore. 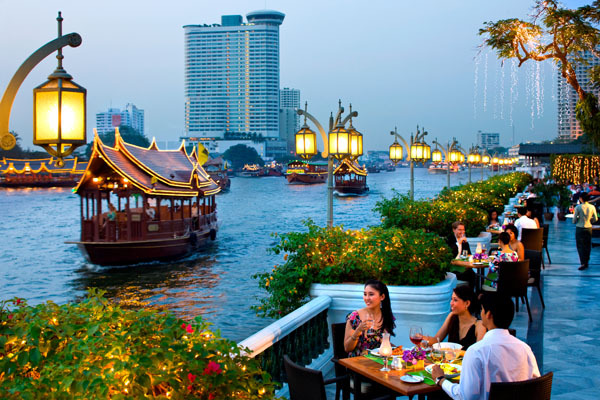 More surprises await guests across the river from the hotel at the signature Sala Rim Naam Thai restaurant offering a delicious choice of traditional Thai dishes and a spectacular cultural performance and dance show nightly. 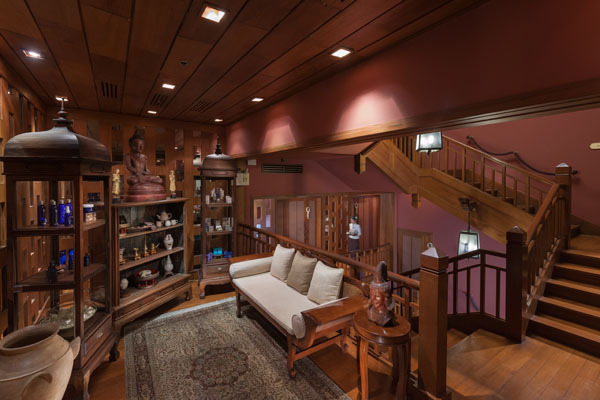 Sala Rim Naam has always been a delightful experience for visitors to Bangkok, bringing together aspects of traditional Thai culture, including food, music, performing arts, service and decoration in an authentic setting. 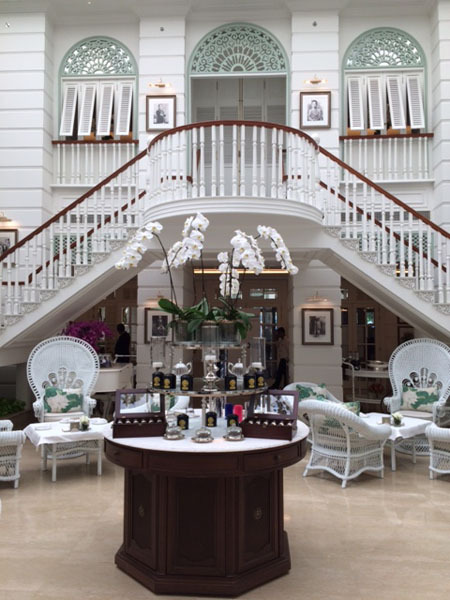 With the lure of Southeast Asia, and more specifically that of Bangkok is at an all time high, The Mandarin Oriental Bangkok is a must see, must stay, must have experience for any traveler with a respect for the past, an eye on the future and desire to be pampered without apology. Looking for a more business-centric hotel that is still focused on delivering unprecedented style and grace? The InterContinental Bangkok is a perfect fit. 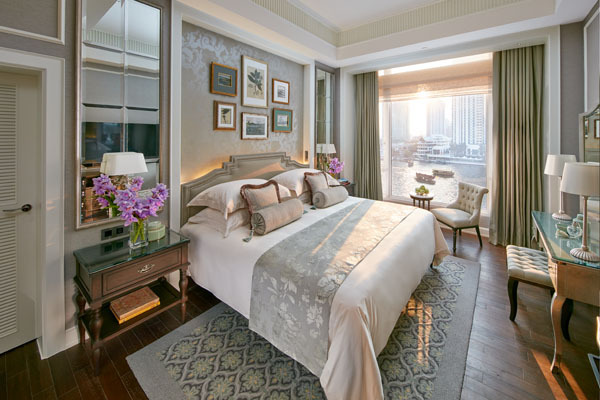 This magnificent five-star property in downtown Bangkok, offers 381 luxury guestrooms with beautiful city views, a seemingly endless array of leisure and business facilities, and direct access to the BTS Skytrain. Centrally located in Ratchaprasong district, it is the perfect choice for business travelers who may also have some leisure time. InterContinental Bangkok’s team of gracious and multilingual staff is not only highly knowledgeable in all the local attractions, but also regarding those activities that allow visitors to experience this vibrant city as natives and beyond.